AssurX customers span a diverse range of manufacturing and service industries, and are seeing significant improvements in their day to day operations. Read the customer case studies and Q&As below, or hear from our customers directly in their videos, to learn more about successful QMS implementations, increased productivity, improved regulatory compliance, and much more. Better compliance, audits, internal controls, incident tracking and beyond. A comprehensive approach to ensure management actions and commitments. Reducing operational and support costs by automating legacy and manual quality management processes into a single software platform. Replacing manual processes with a full range of integrated solutions for visibility, reporting and management. Defect Handling, CAPA, Audits, Complaints, EH&S & Supplier Quality in action. Learn how Ecolab consolidated worldwide operations into a single streamlined system. Corporation Implementing a global CAPA & customer complaint handling system. International Implementing to support growth, obtain real-time communication and rapid problem solving. Hear the Director of Quality & Regulatory at PartyLite, a US-based consumer goods manufacturer, explain how their AssurX Quality Management System saved the company $4M and how use continues to grow. Blanaid Bowes, Quality Systems Manager for Servier Industries, an international pharmaceutical + chemical manufacturer, describes her experience rolling out AssurX QMS software across global operations. Hear from Thomas Bilbo, Subject Matter Expert for Compliance + Risk Management Systems at one of the country’s largest natural gas and electric energy providers as he discusses their expansive use of AssurX for energy compliance for NERC and beyond. System Administrator, Brian Stowe, details this large medical device manufacturer’s versatile use of AssurX QMS, which includes complaint management and integrated medical device reporting. Angela Gaines explains their AssurX platform implementation and the versatile and continuously evolving use of the system, even outside of the NERC compliance group. Portland General Electric is an electricity provider serving more than 840,000 customers across 52 cities. Hear LiseAnn Bailey discuss how the AssurX system was instrumental in sustaining their business and growth as this leading Cardiac Assist Device Manufacturing company grew to more than 1000 employees with 8 facilities in 3 countries. Discusses their use of AssurX to greatly improve tracking management actions and commitments worldwide. Discusses their complaint handling, regulatory compliance & reporting with a centralized system. 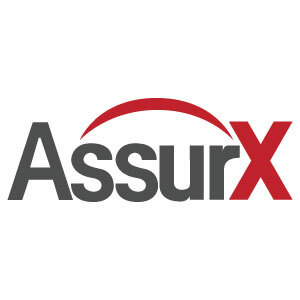 AssurX customers span a diverse range of manufacturing and service industries, and are seeing significant improvements in their day to day operations.